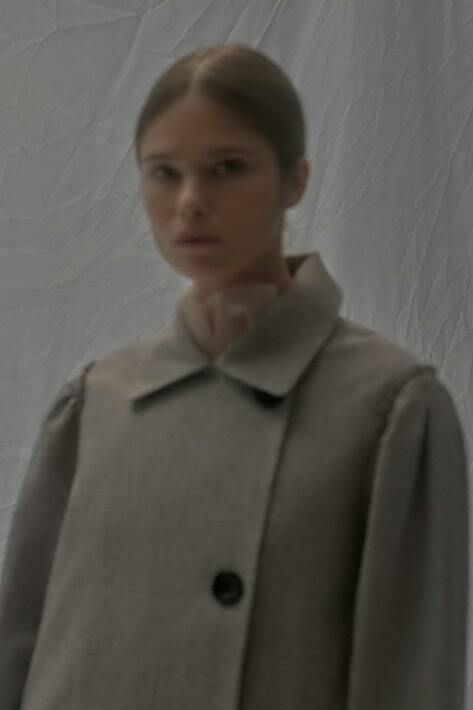 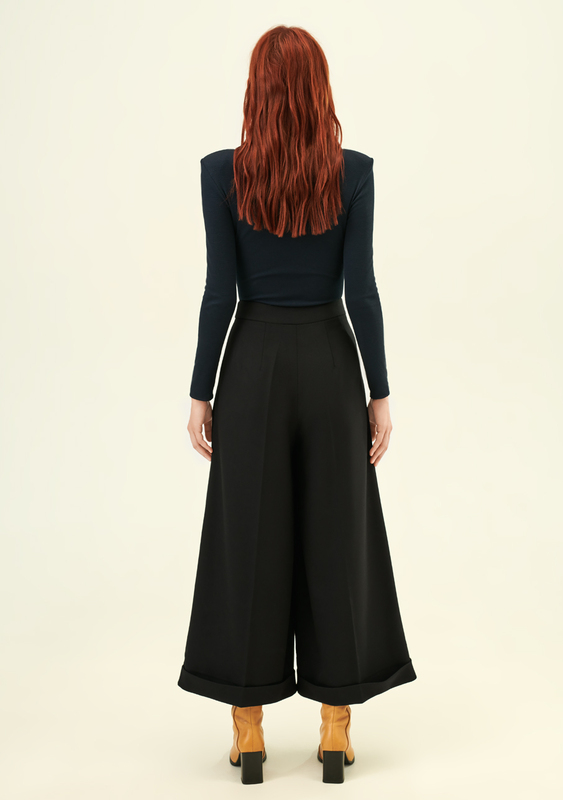 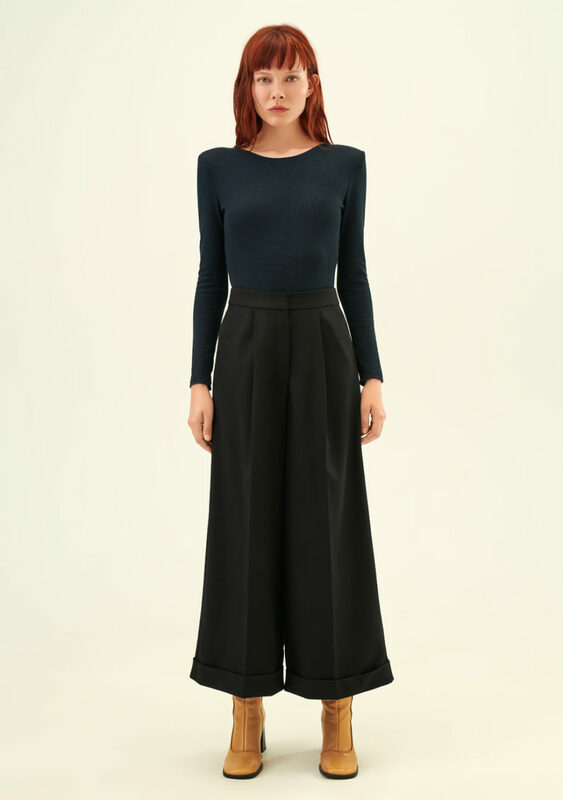 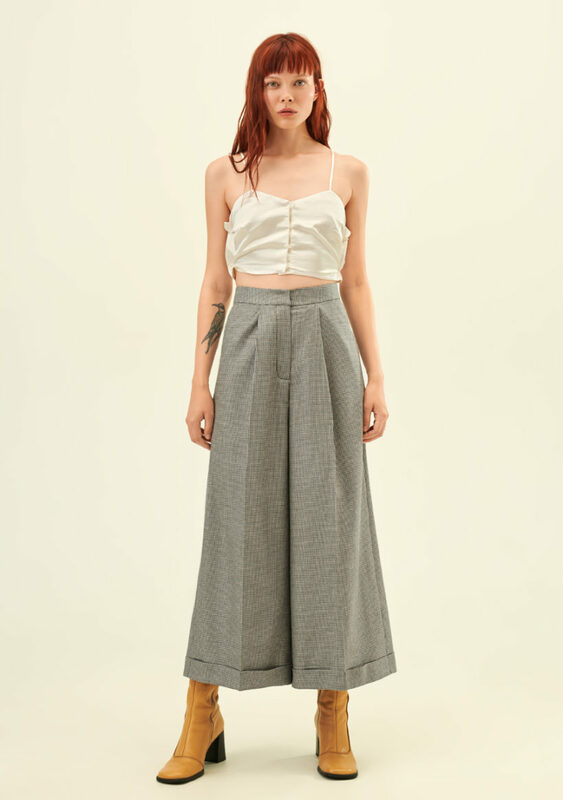 Loose-fitting wide-leg cropped trousers made from wool suiting fabric. 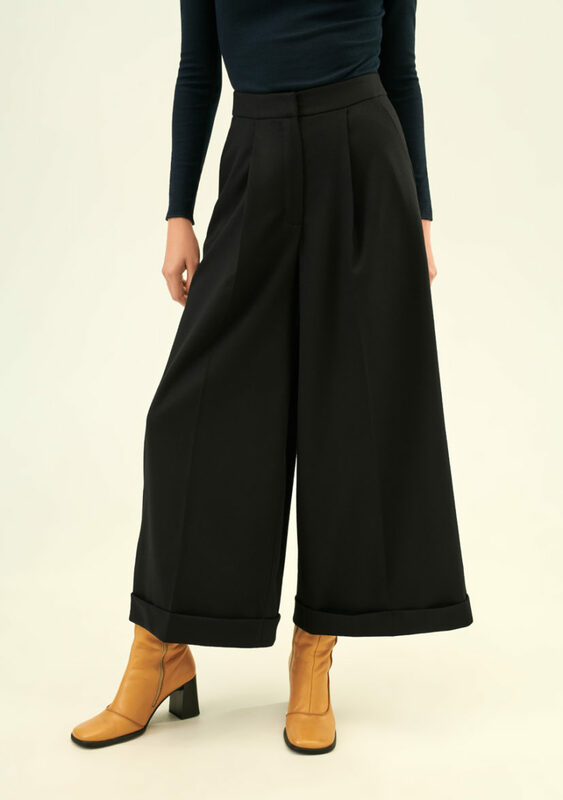 Large folds and turn-ups. Perfect fit at the waist, deep pockets.